Smithsonian Associates offers one-of-a-kind learning experiences that spark the imagination—and offer plenty of great fun—during Smithsonian Summer Camp, now in its 50th year. 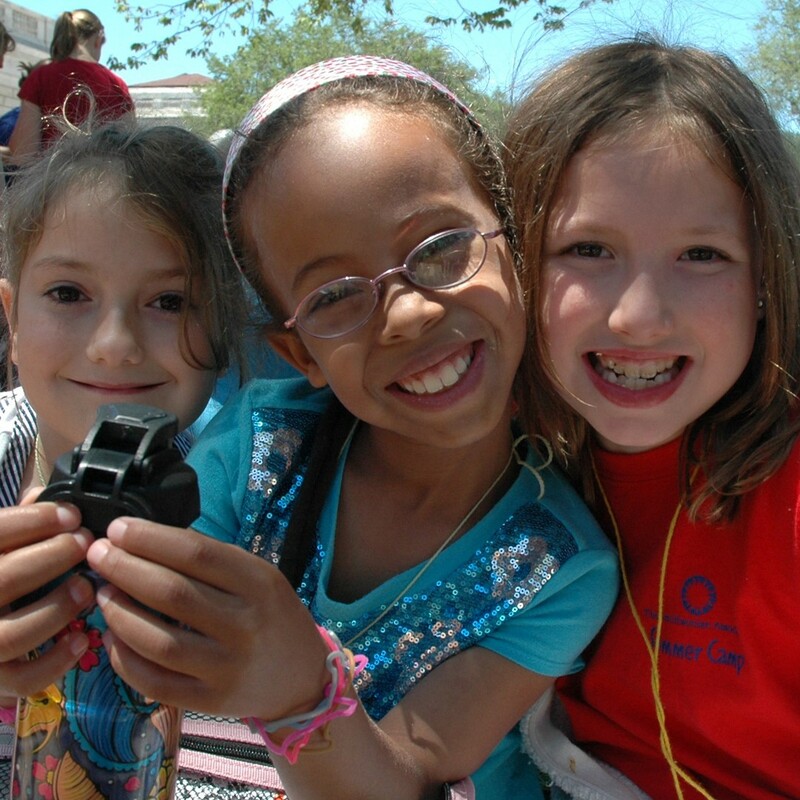 A wide variety of camps for children in kindergarten through ninth grade will be held Monday, June 17, through Friday, Aug. 16, at the Smithsonian’s S. Dillon Ripley Center at 1100 Jefferson Dr. S.W. During summer camp, kids explore, discover, create and go behind the scenes at the Smithsonian. Campers can blast into space, take center stage, create a masterpiece, invent a fantasy world, relive history or learn to shape the future of the planet. The rich and exciting world of the Smithsonian is theirs to discover. More than 90 camps are offered this year; camps are held Monday through Friday from 9:30 a.m. to 4:30 p.m. Before-camp (8 a.m. to 9 a.m.) and after-camp (4:30 p.m. to 6 p.m.) activities are also available. For the youngest campers, museum visits, storytelling, art, science and music are all important parts of the fun—and learning. Camps such as “ABCs of the Smithsonian,” “Smithsonian Sounds,” “Smithsonian Seuss Safari,” “Junior Paleontologists” and “My Trip to the Moon” are specifically designed to introduce the world of the Smithsonian to children ages 5 and older. Back by popular demand are two-week intensive camps designed for students (grades 4–9), who have an interest in music, history, art and drama, 3-D technologies and digital arts. “Music of Note” is a new two-week camp exploring the evolution of African American music. Through in-depth visits to the National Museum of African American History and Culture, campers connect the songs they hear with the historical and cultural changes that influenced popular music and view artifacts closely tied to legendary African American performing artists. At the end of the week, family and friends are invited to a soulful final performance. History comes alive in one-week “Soldiers and Dioramas” camps (grades 6–9) where campers find a new dimension—a miniature one—to learning about some of the most important battles in history. Nine camps are offered, each covering a specific battle, and campers make their own terrain boards and lead troops of 1/72-scale soldiers in war games that offer them vivid insights into the military strategies and conflicts that have shaped the world. Science adventures are available for all ages. From the deepest oceans to the furthest stars, the vast Amazon rainforest to the smallest backyard insect, campers have a universe of science to discover this summer. The Smithsonian’s museums on the Mall, the National Zoo, Udvar-Hazy Center and Smithsonian Environmental Research Center, as well as the U.S. Botanic Gardens, provide exciting backdrops for all their explorations. Other camp themes this year include video game design, the solar system, Smithsonian “Shark Tank,” “EDU-Escape Room,” sketch comedy, textile arts, digital photography and more. Prices for weeklong summer camps are $460 for non-members and $395 for Smithsonian Associates members. There will be no camp Thursday, July 4, or Friday, July 5. Prices for summer camp Monday, July 1, through Wednesday, July 3, are $275 for non-members and $240 for Smithsonian Associates members. Two-week intensive camps range from $735 to $920 for non-members and $635 to $790 for Smithsonian Associates members; campers can customize their experience, registering for a single week of select two-week camps. Online and phone registration begins Thursday, Feb. 14, at 9 a.m. In-person registration at the Smithsonian Associates box office located in Suite 3077 of the Ripley Center begins at 9 a.m. Thursday, Feb. 14. Donors to Smithsonian Associates at the Contributor level ($300 or higher) are eligible for priority registration Tuesday, Feb. 12. All participants are encouraged to pre-register online. For more information, the public may visit http://smithsonianassociates.org/camp or call (202) 633-3030. Smithsonian Associates—the largest museum-based education program in the world—produces vibrant educational and cultural programming inspired by the Smithsonian’s research, collections and exhibitions. Each year more than 750 individual programs are presented to spark creativity and excite learning in people of all ages in the Washington, D.C., area and across the country. Smithsonian Associates brings the Smithsonian to life through seminars, performances, lectures, studio arts classes and local and regional study tours, as well as many engaging programs for children, including performances and museum sleepovers.